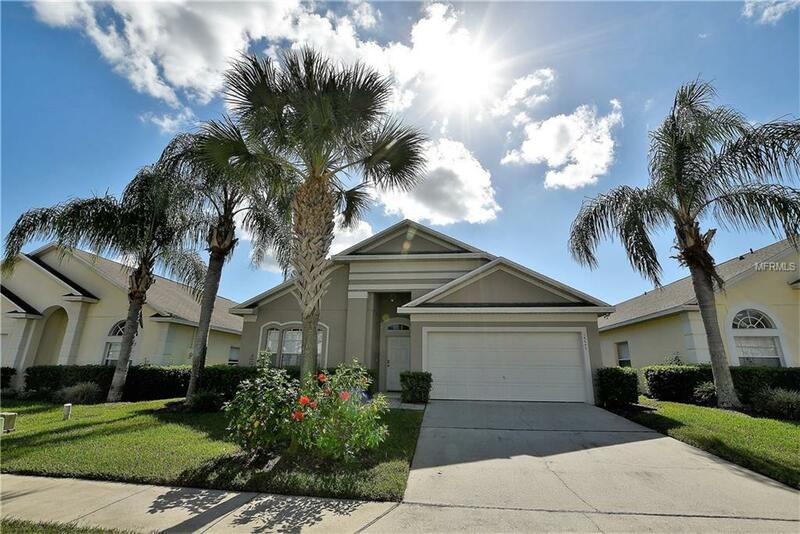 The Glenbrook Community is located 1.6 miles north of Highway 192 in unincorporated Clermont, Florida. From many perspectives, the location of the property is optimal. For example, Walt Disney World's Disney Springs, one of the world's most visited entertainment and shopping destinations is 14 miles (26 minutes) from the property. The house features 4 bedrooms and 3-1/2 bathrooms. The floorplan places the bedrooms in the corners of the house delivering on privacy for every occupant. The house is beautifully appointed. The most trafficked areas of the house are all floored with ceramic tile. The bedrooms are equipped with high quality faux wood laminate flooring. The entrance foyer sets the tone for the rich quality that the owner created by adding personal touches throughout the house. The property's most notable feature is the open floor plan. The active family's activities typically center around the kitchen. The openness and accessibility of the kitchen to the great room establishes a fun and inclusive character to the property. The Master Bedroom is luxurious as is the Master Bathroom. Other household dignitaries will be pleased to experience bedroom number two, a gorgeously appointed ensuite with direct access onto the pool deck. The half bath is just outside the second bedroom and, while servicing the great room, also performs as a pool bath. Bedrooms 3 and 4 are located closer to the front of the house and are separated by the third full bathroom. Perfect as a primary residence or a second home. Listing provided courtesy of Century 21 World Properties.